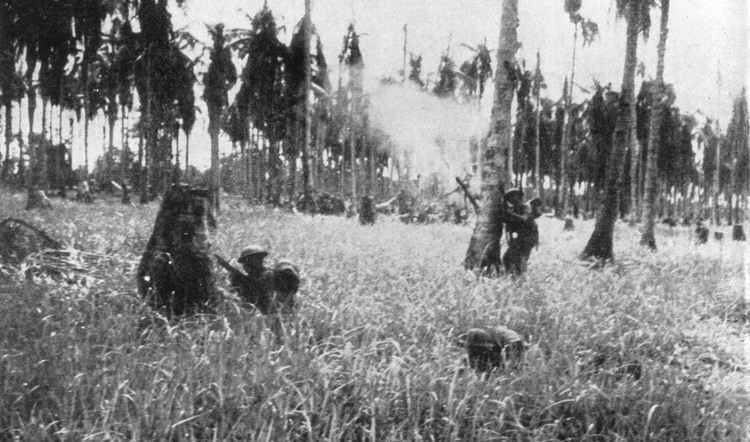 Australian troops seen during the final assault on Buna. The infantry are using the trees and long kunai grass as cover. In the centre of the picture a mortar has just been fired.